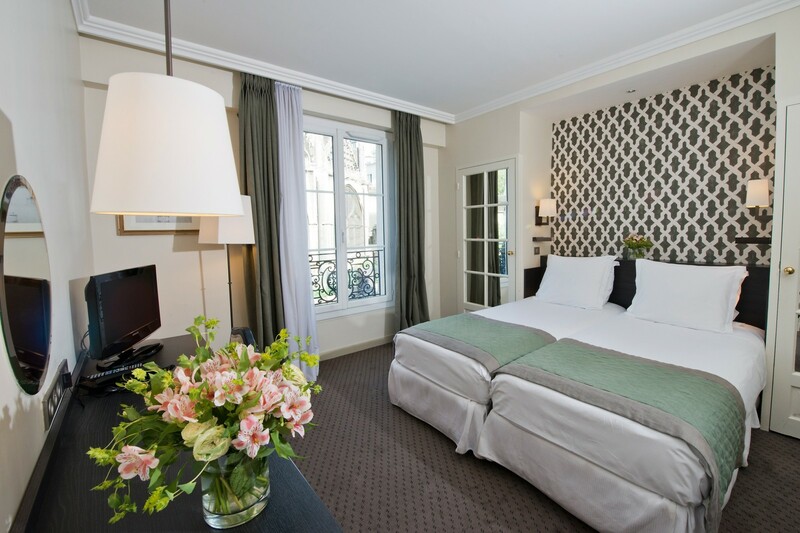 The hotel Henri IV on the left bank, a few steps away from Saint-Germain-des-Prés and the Marais, will offer to your holiday or business trips, comfort and charm of Paris through its authentic and refined décor, in harmony with one of the liveliest and historic district of the capital : the Latin Quarter. 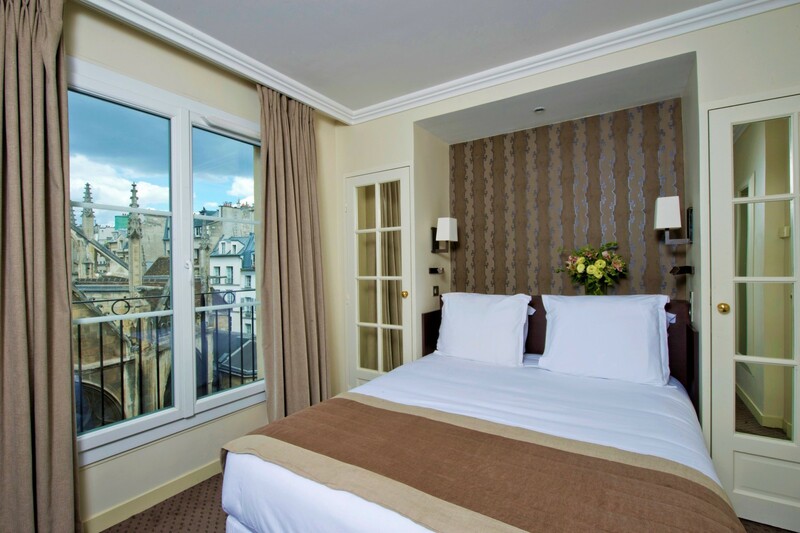 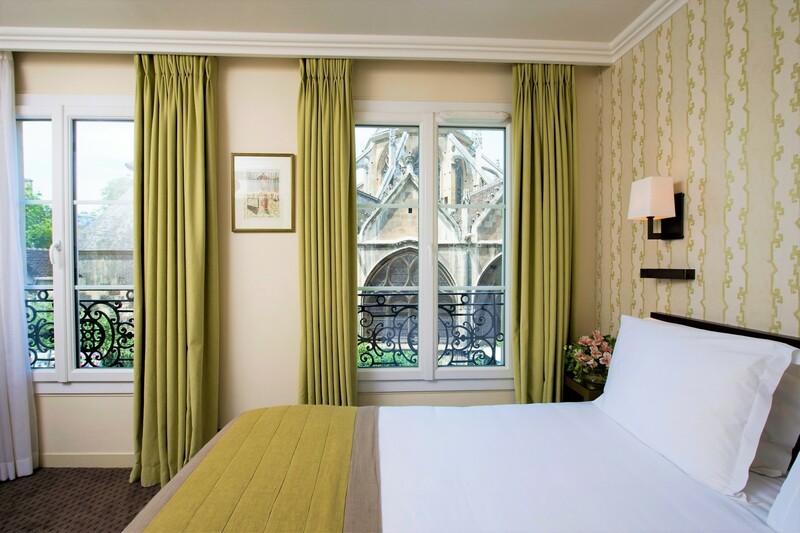 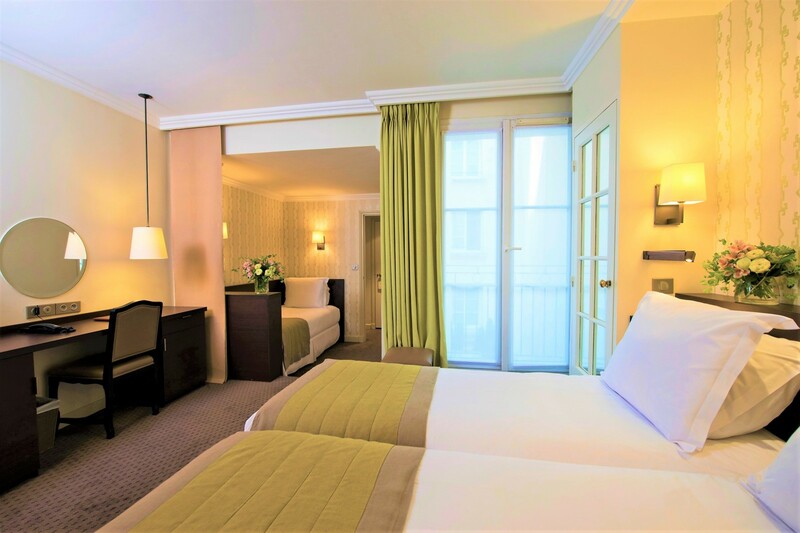 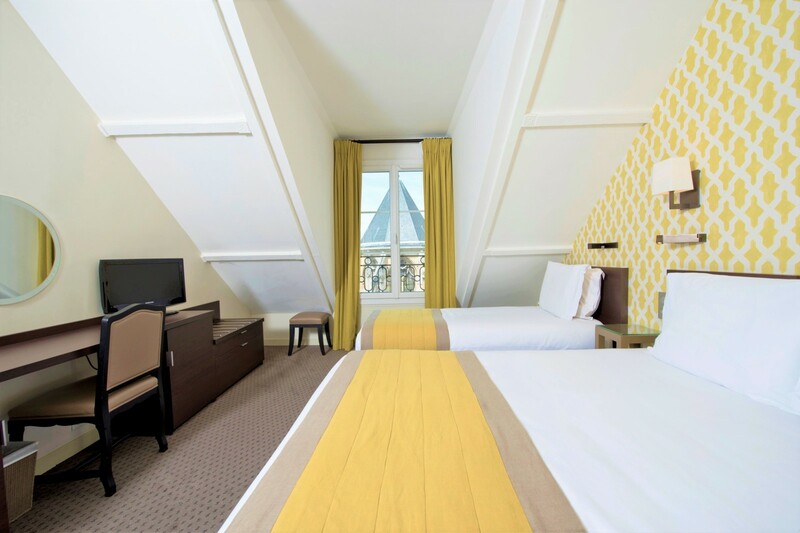 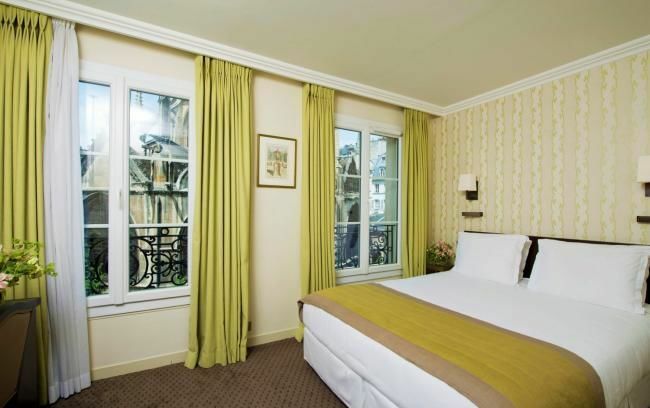 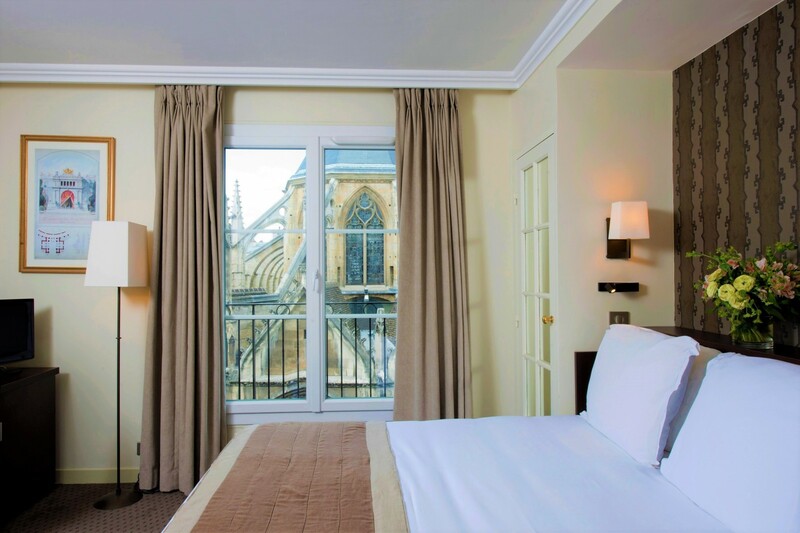 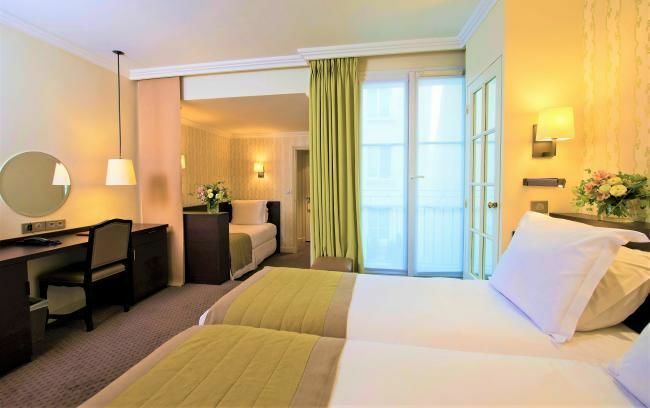 If you are in Paris for a business trip, look no further than the single room in this contemporary hotel. 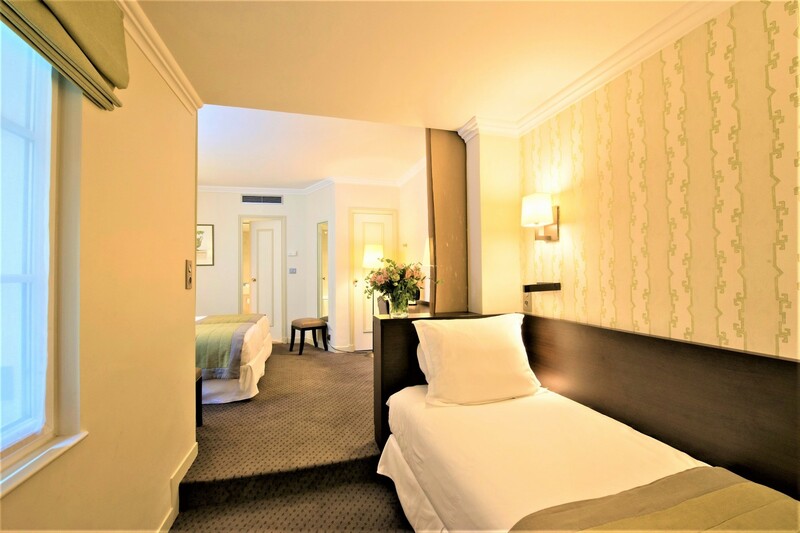 Designed for a single occupant, this room features one spacious bed. 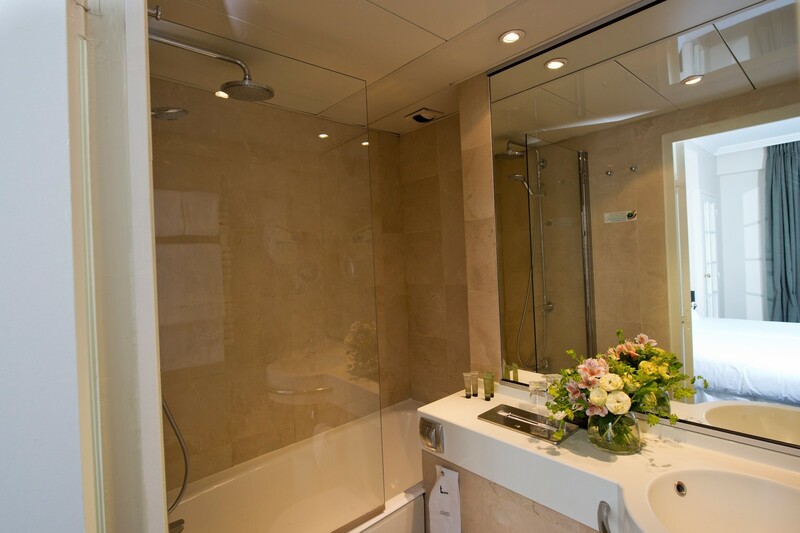 Amenities include a minibar, marble bathroom with shower, free Wi-Fi, air conditioning, flat screen TV, hairdryer and a safe. 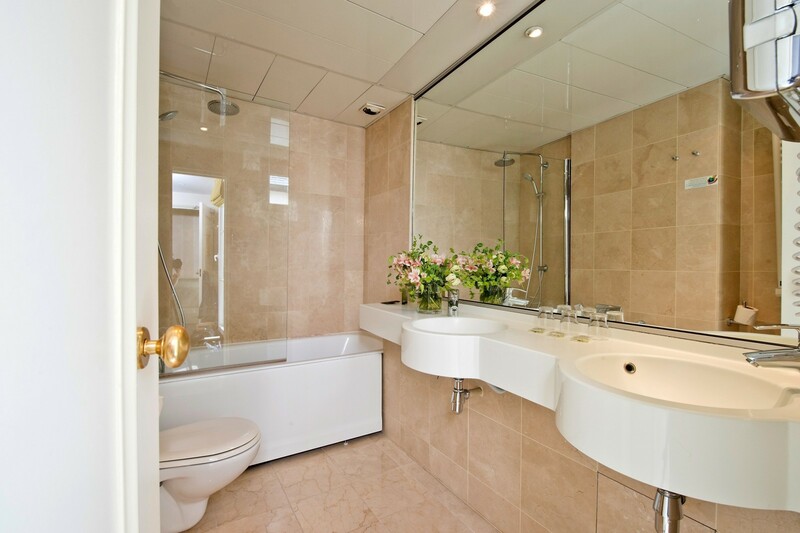 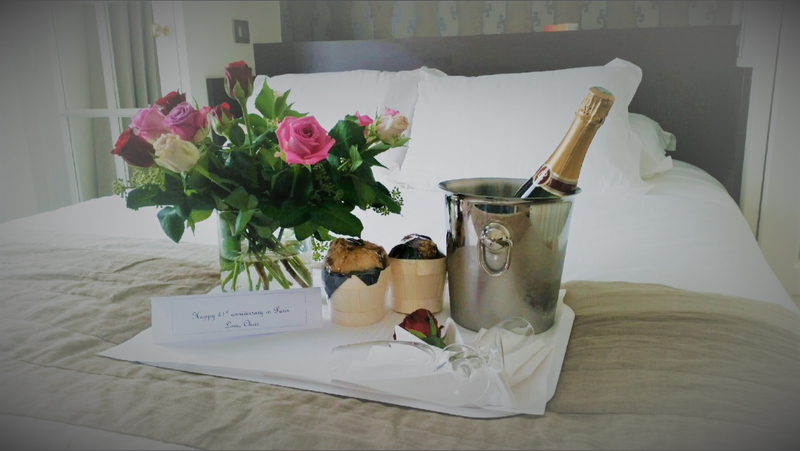 The Double Room is our signature suite, ideal for that romantic escape. 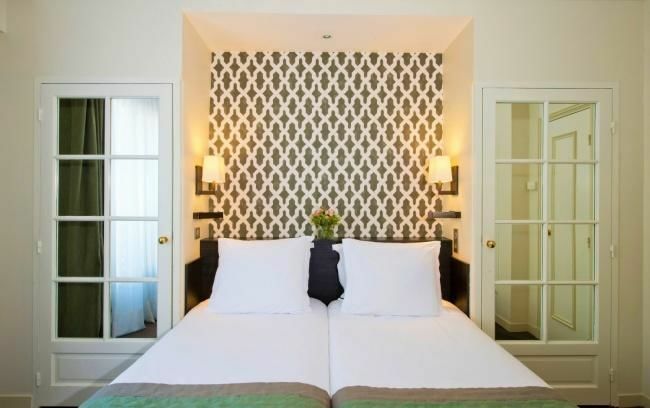 Designed for two occupants, this room features a spacious double bed. 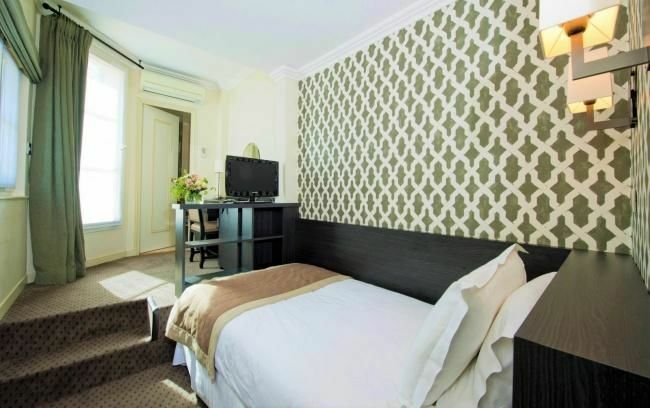 Amenities include a minibar, marble bathroom with shower, free Wi-Fi, air conditioning, flat screen TV, hairdryer and a safe. 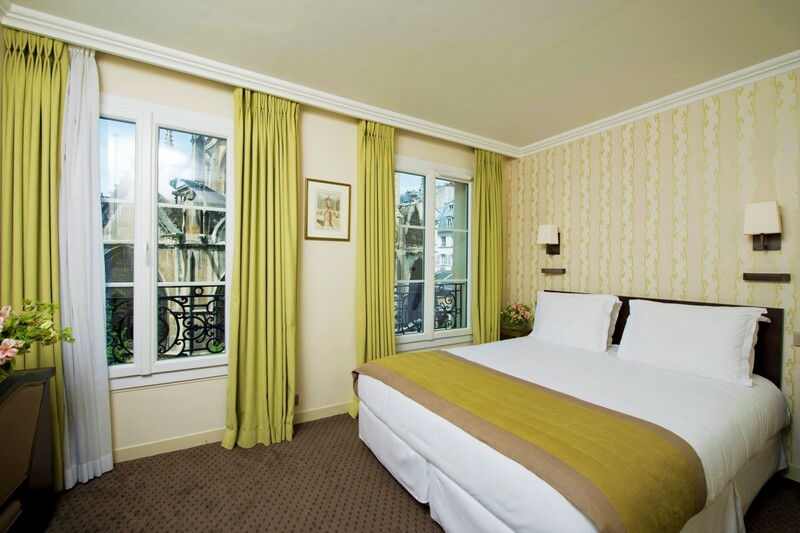 Meant for two occupants, the Twin Room comes with two twin beds. 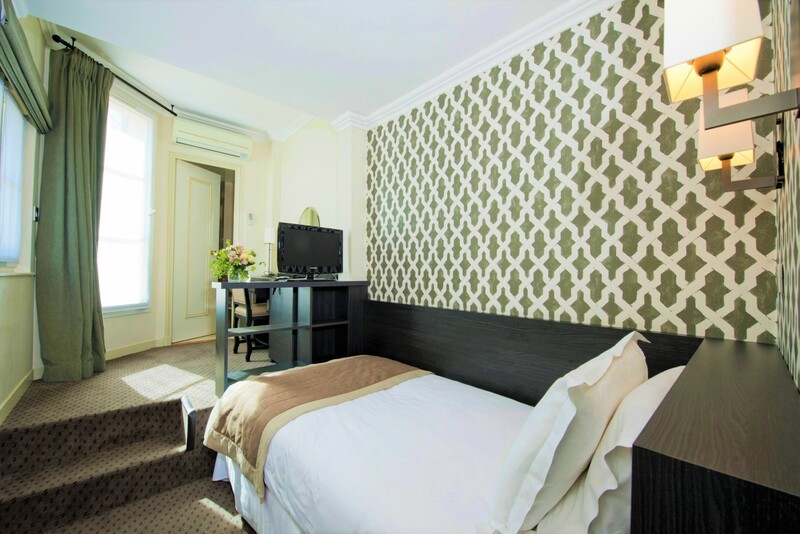 Amenities in this room include a minibar, marble bathroom with shower, free Wi-Fi, air conditioning, flat screen TV, hairdryer and a safe. 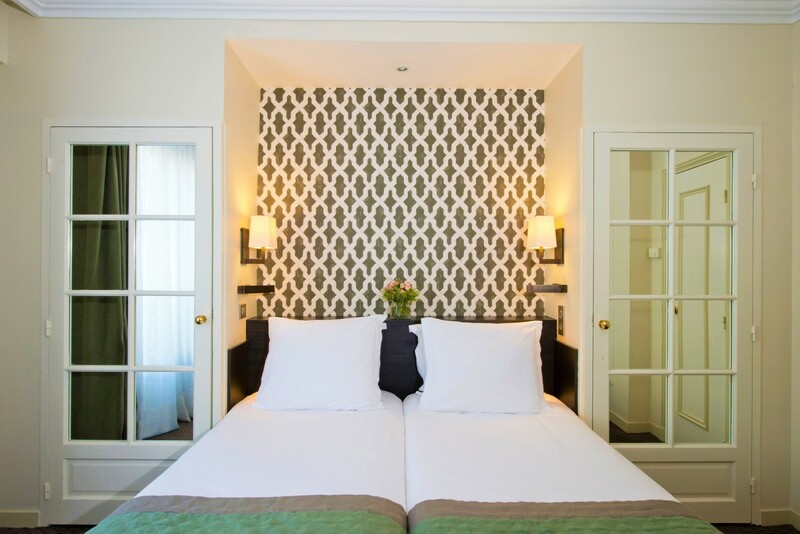 The Triple Room is designed for three guests and features three single beds or one single bed and one double bed. 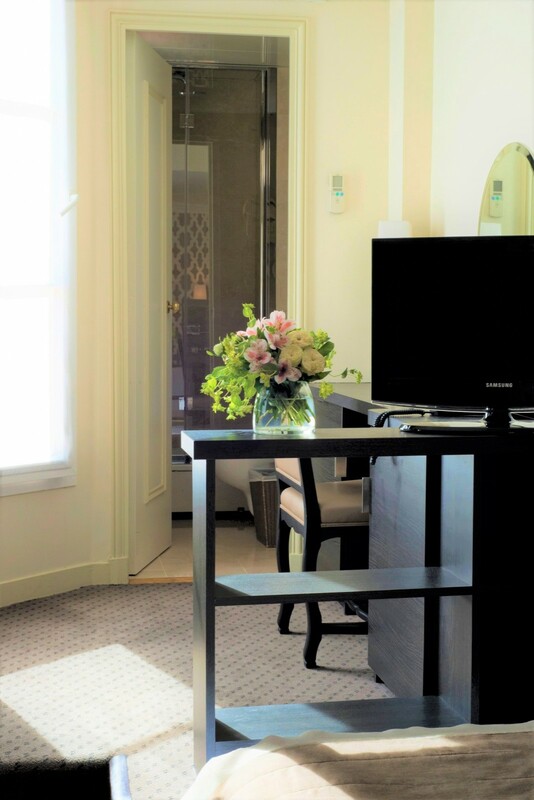 Complementing amenities include a minibar, marble bathroom with shower, free Wi-Fi, air conditioning, flat screen TV, hairdryer and a safe.